The Government has plumped for a preferred route for a new multi-billion pound Lower Thames Crossing between Essex and Kent. 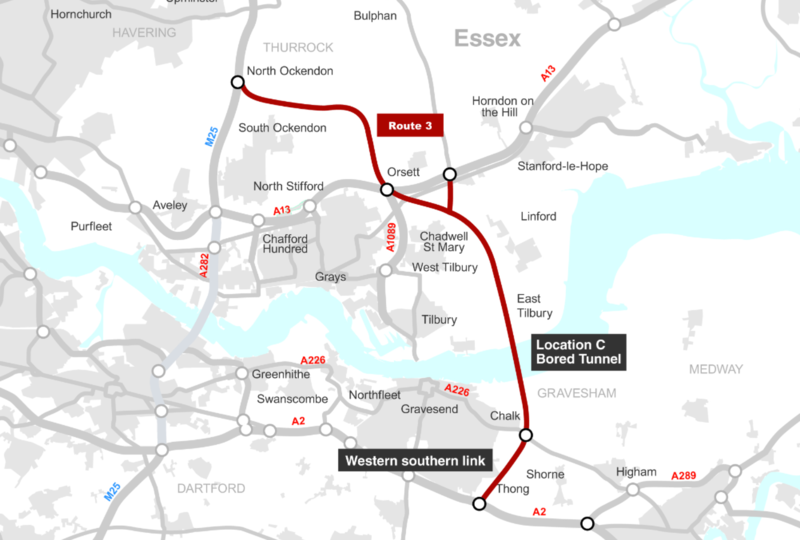 The planned route will run from the M25 near North Ockendon, bridge the A13 at Orsett before diving under the Thames east of Tilbury in a 2-mile long tunnel to Gravesend. 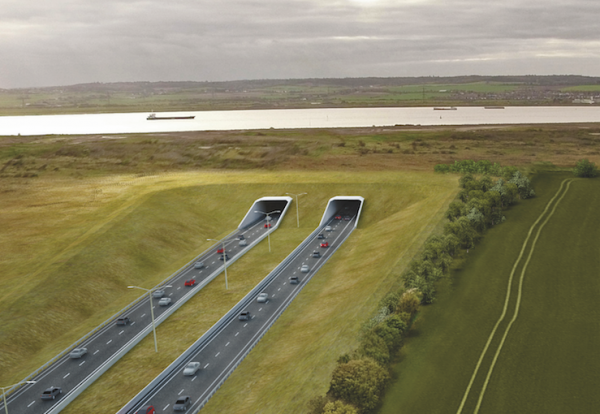 A new link road will then take traffic to the A2 near Shorne, close to where the route becomes the M2. 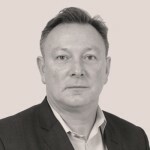 Studies by Highways England engineers showed that a bridge was the cheapest option for the site at an estimated cost of up to £5.5bn, but a bored tunnel was favoured because it also offers the lowest environmental impact in the region, with an estimated cost of £4.3bn – £5.9bn. In addition to the Lower Thames Crossing, the government said it also planned to invest a further £66m to widen the A13 Stanford-le-Hope bypass from 2 to 3 lanes. This will help create more than 4,000 jobs and unlock the development of hundreds of new houses, and improve links to Tilbury and new London Gateway ports. This investment is part of a £78.8m Thurrock Council project scheduled to be complete by the end of 2019. Transport Secretary Chris Grayling said the new Lower Thames Crossing could create more than 6,000 jobs and boost the economy by more than £8bn. He said: “We are making the big decisions for Britain. The new Lower Thames Crossing, and other improvements in and around Dartford and Thurrock announced today, will further strengthen our economy while also creating thousands of jobs.